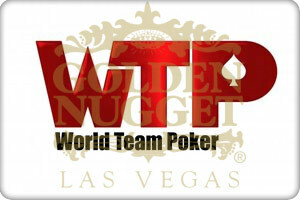 The Golden Nugget played host to the inaugural World Team Poker tournament this week, a $50,000 per team buy-in tournament, and after an 18 and half hour marathon session it was team China who came out on top. The win netted Team China $300,000, and runners-up Team Brazil will pocket $100,000. China came into the tournament as one of the clear cut favorites; with co-captains Johnny Chan and David Chiu headlining the team that also includes Maria Ho, Chiau Giang, Rich Zhu, Winifred Yu, and Derek Cheung. The format for the tournament is extremely interesting: each team member would sit at a preliminary table and the top two finishers from each table would reach the final table. If a country qualified more than one player only one seat would be awarded with that player receiving the accumulated chips from the other qualifying seats. Amazingly, two other prohibitive favorites Team USA and Team England failed to make the final table despite powerhouse teams. The tournament also rotates between three games: No Limit Holdem, Limit Holdem, and Pot Limit Omaha, and players could be substituted when the game changes. A player can also solicit advice on a hand in progress from the team captain. This entry was posted on Friday, May 21st, 2010 at 9:23 am and is filed under Poker News. You can follow any responses to this entry through the RSS 2.0 feed. You can leave a response, or trackback from your own site.